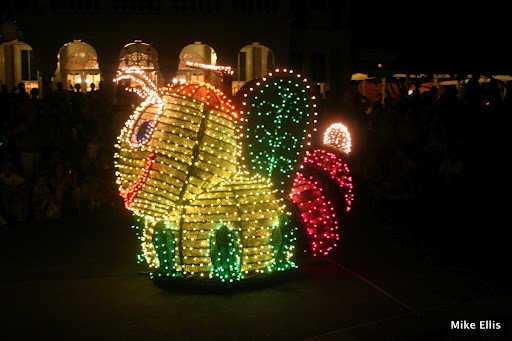 In June, during our last trip to Walt Disney World, one of the things I was most excited to see was the return of what I had called the “Main Street Electrical Parade”. The last time I saw it was with Cindy on our first trip to Disney in 2000, so it has been quite a while. On June 20th we had dinner at Epcot over at Akerhus. After dinner, we decided to change clothes and then head over to the Magic Kingdom (we were all drenched from both the Kali River Rapids and the torrential rain that followed). 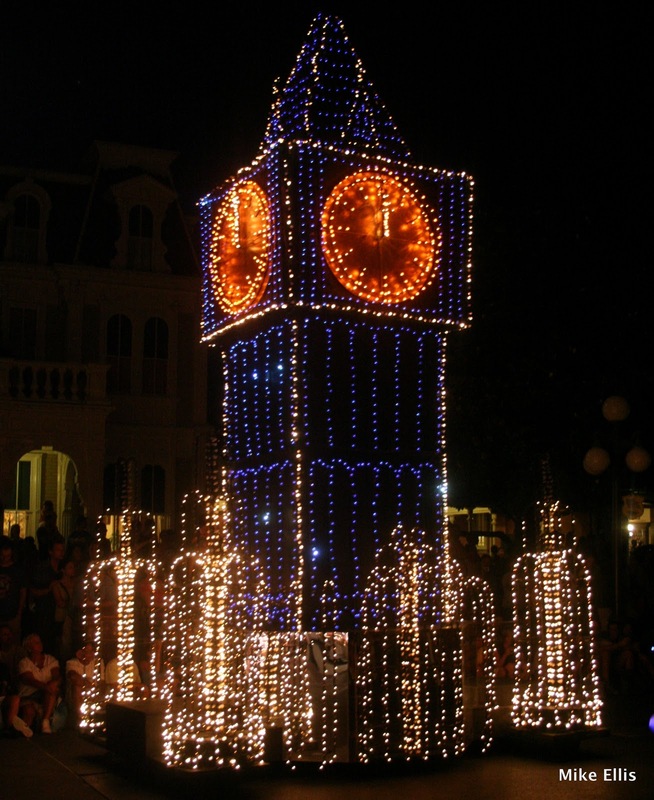 Anyway, as fate would have it, we arrived at Town Square at 8:30 PM, with the parade scheduled to start at 9:00 PM. 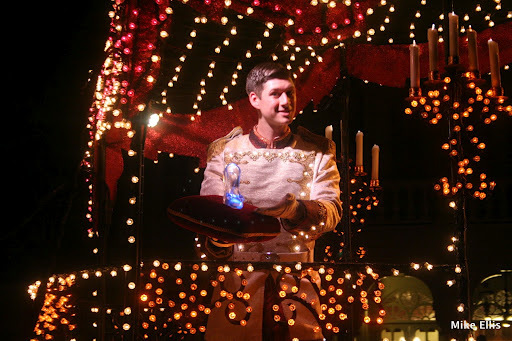 Since the time was perfect, we decided to just take a seat and wait until the parade so we could catch it. Well, it certainly didn’t disappoint. 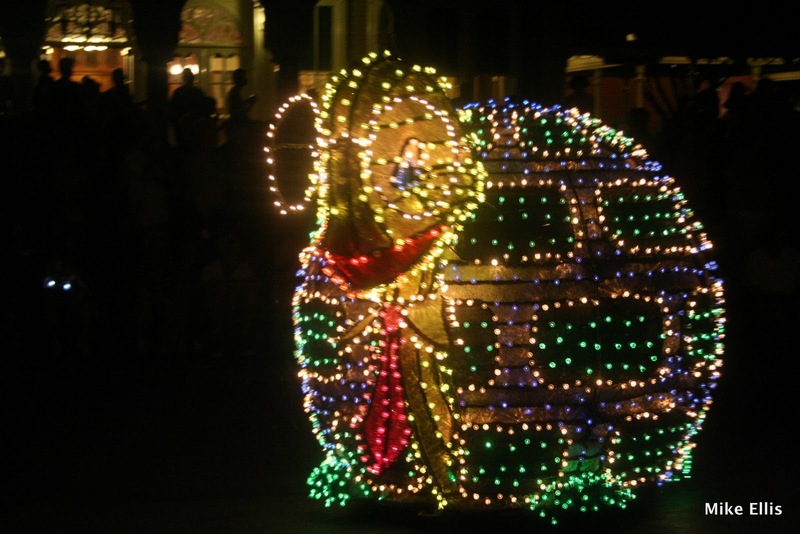 Words can only say so much, so I present to you my pictures from the “Disney Electrical Parade”! Enjoy! My niece Stephanie insisted that he was offering her the slipper! 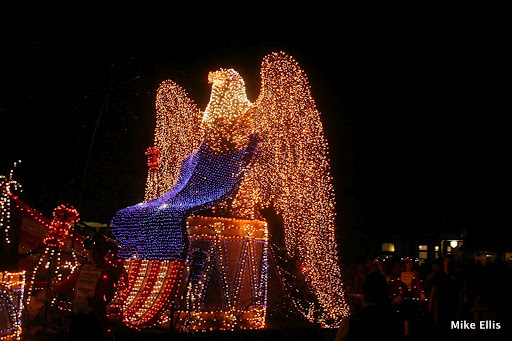 Words, pictures, none of that does justice to this wonderful parade. 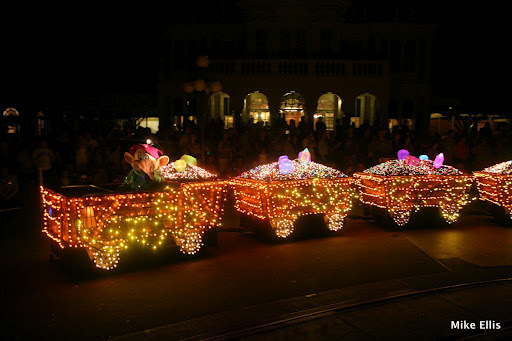 If you can get down to the Magic Kingdom, I highly recommend that you get down there and see this parade! Originally it was only supposed to be run into August, but they extended it some time back, but I don’t know when it might be gone, so go see it. You won’t be disappointed.